ATLANTA (AP) The Atlanta Hawks enjoyed a rare blowout that left the Memphis Grizzlies fuming about their failure to answer the challenge. Grizzlies: Memphis ended a winless four-game trip and fell to 5-20 away from home. … The Grizzlies’ previous high of 22 turnovers came in a 96-94 home win over Hawks on Dec. 15. … The teams were a combined 0 for 12 on 3-pointers before Chalmers finally sank a 3 with 8 minutes remaining in the second period. … Ivan Rabb had 10 points and 11 rebounds. Hawks: Atlanta has won seven straight home games against Western Conference teams. 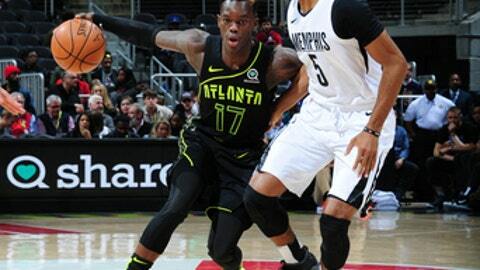 … Dewayne Dedmon had 11 points and Tyler Dorsey had 10 off Atlanta’s bench, which scored 56 points.